Prior to working with Good Eggs, I’d never worked with a startup. I stumbled across a small group who’d just launched a service with the mission of connecting people to local food. 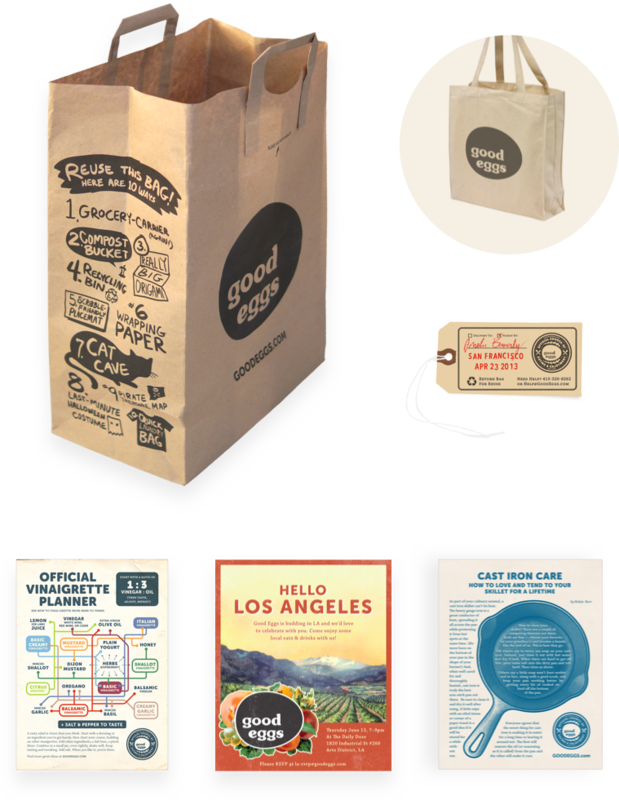 Good Eggs was in need of a strong identity and so they hired me on. One thing led to another and I was soon put to work designing a logo and brand language to surround it. Soon after that work was done, I began working with the team to help overhaul their online e-commerce experience. For just shy of two years, I iterated on new features and user flows, created printed collateral, and helped establish the brand. 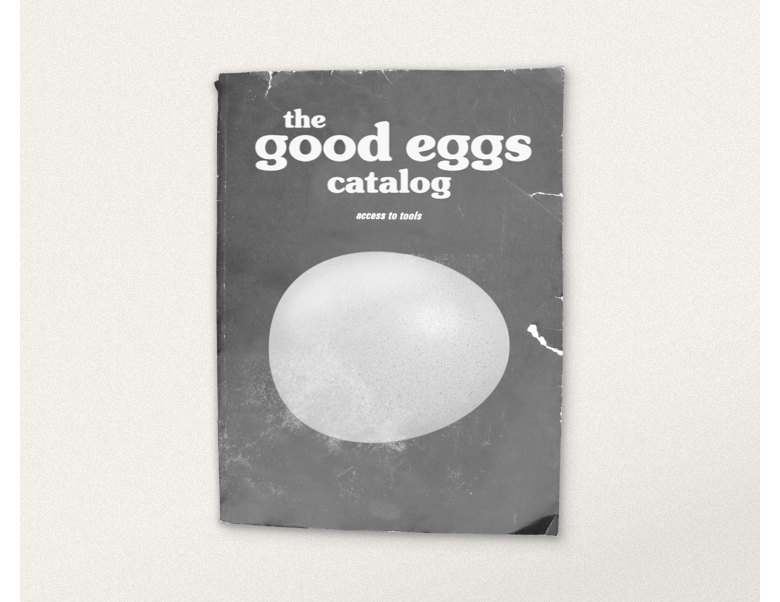 GoodEggs.com has had a few additions and tweaks yet is still very close to what I created four years ago. A good brand is much more than just a logo. 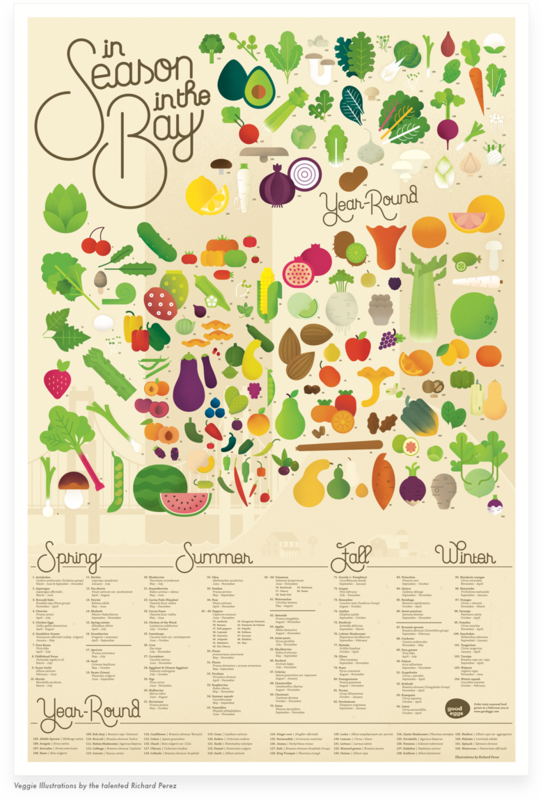 The best combine color, typography, photography, and an overarching look & feel that creates a cohesive whole. A strong logo is still very important though. Many aspects of a brand’s visual expression will change over time. Once released to the wild, a new brand’s logo is very hard to change. Logos often gain so much equity so fast that attempts to revamp it later are... rough. Look at Coca-Cola vs Pepsi. One brand has changed very little, the other is doomed to forever reinvent itself. When I began working with Good Eggs, I had a blank slate. Through a series of workshops and discussions, I pulled together a solid understanding of what the brand meant to everyone to begin the visual work. Design explorations are a lot more fun than the necessary research behind them. But without that foundation, it’s easy to go down the wrong path. Because we couldn’t find the right user experience designer, I took on the role. Learning how to use testing to improve my work has transformed my approach to design. 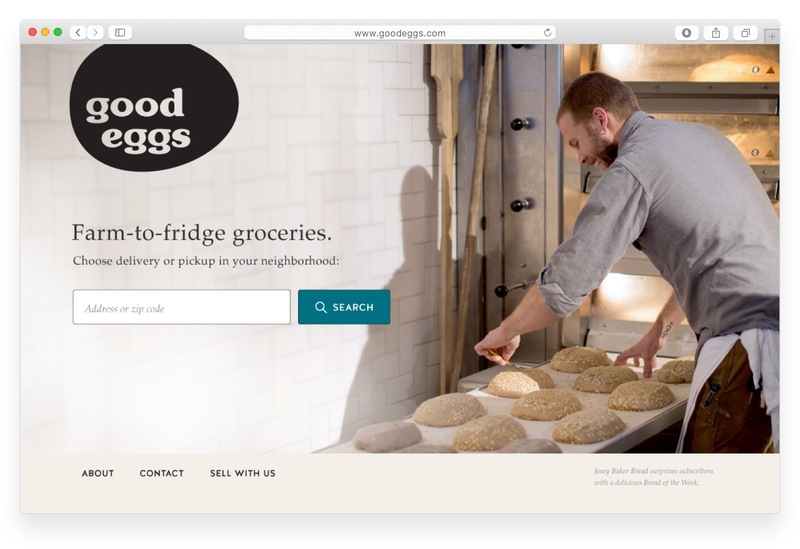 The Good Eggs e-commerce model is unique. It’s region-specific. Customers order three days in advance of their delivery — often without a guarantee that item would be in stock. There were many user flows the site needed to address without established design patterns. The only way to know if the designs were on the right track was to test them. Design, iterate, test, build, test, deploy, repeat and refine until it's great. While continually iterating on the interactive experience, there was always plenty of print collateral to create too. There are major benefits of building out a visual brand over time as opposed to trying to understand all of it up front. Experimenting with different visual expressions while remaining true to the core guiding principles will ultimately lead to a stronger brand over time.